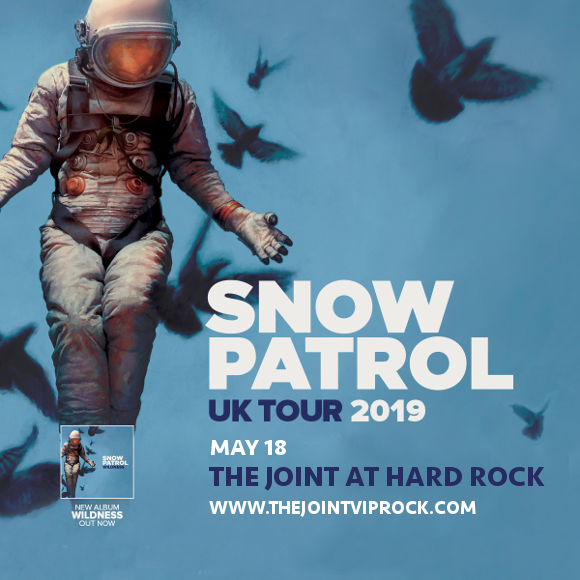 Are you ready for Snow Patrol?? The British indie-rock outfit are headed to The Joint at Hard Rock Hotel on Saturday 18th May 2019 as part of their “Wildness,” tour in support of their all-new album!! Don’t miss out – grab your tickets now before they disappear! E-tickets also available. The end result is an album that will connect to just about everybody on some level – and that’s shown by its chart performance, with “Wildness,” hitting No.2 in the UK album charts!! Grab your tickets now and get ready to hear it all live! !